Retired Captain Mike Zompetti's wife, Lee, recently passed away. Lee & Mike were still living in their home of 44 years. Lee was Mike's primary caretaker. Mike lost his independence a few years ago and is wheel chair bound. He also suffers from Dementia. As a result Mike has been moved to a facility called Bridges in Nashua on Amherst Street. He has lost his independence, his home, his life as he knew it and his soul-mate. Cards or visits would be very much appreciated. Our group has received news with the passing of Lena Zompetti, wife of retired NEA/DL pilot Captain Gaetano ‘Mike’ Zompetti. Lena is survived by her husband Mike and many extended family members. 18 Apache Road , Nashua NH 03063-1304 .......... (603) 883-5222. 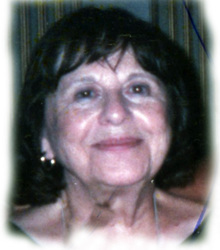 Mrs. Zompetti was the beloved and devoted wife of Gaetano “Mike’ Zompetti. They shared over 63 years of marriage. ......................Just got the sad news that Lee Zompetti wife of Mike Zompetti passed away yesterday (21 Jan 2017).